Special Note: The Art House is Closed for Now.. I Know, I Know, It’s a Bummer..
We still have rooms open at Park Place, as well offer other guest homes in the same neighborhood. We’re happy to refer you. And/Or Send Us an Email with your travel dates and we’ll do our best to help out. Read Below to See Our Beloved Art House – So Many Great Years! 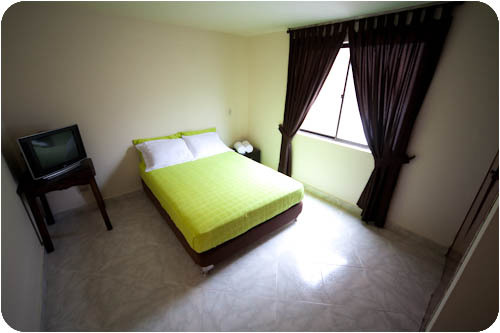 Here you can find all the comforts of home when you visit Colombia. 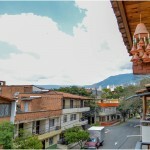 Located in a safe and friendly area in Medellin, the micro city of Envigado has a unique charm that invites you to explore its streets and interact with locals. Envigado conveniently borders to the south of the trendy Poblado neighborhood, and is surrounded by beautiful lush mountains. We provide two guest homes (The Art House & Park Place) for fellow travelers, students, retirees, and entrepreneurs. 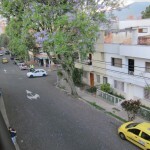 The homes are very close to each other and are both located in Envigado. The Art House is a large home with 5 bedrooms and 3.5 baths, a nice size balcony, and an incredible roof top terrace (BBQ ready). Located in a charming, laid back, traditional Colombian neighborhood called La Magnolia. Within a block from the home you can find everything you need at your finger tips. Our second guest home is called Park Place. It’s a short walk from the Art House, and right next to Parque Envigado. Here we have created a beautiful modern apartment. It’s 3 bedrooms and each bedroom comes with a private bath, walk in shower, and it’s own tv (Nice!). The Art House is your home away from home. It’s the perfect home for the EAFIT University student (a 10-15 min bus ride away), as well as for long term visitors to Medellin. Our neighborhood provides excellent value in terms of great restaurants, fruit/veg and meat markets, nearby supermarkets, excellent and cheap nearby buses, plus a host of great value gyms and outdoor activities. We even have an iron. Everything has been taken care of to make your stay easy and comfortable. The Art House allows you to live in style but also on a budget. Located in the safest part of Medellin and convenient for easy public transportation. Here you will find charming neighborhoods, comfortable living, and an authentic Colombian experience. The biggest & brightest room in the house. 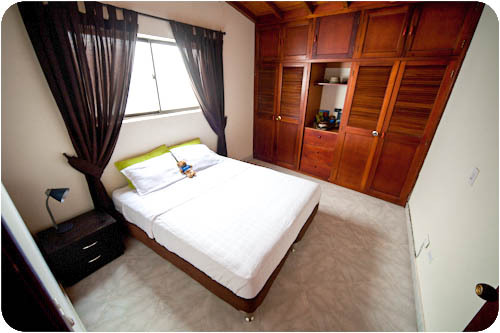 Room 1 is the master bedroom and has it’s own private bathroom. There’s plenty of closet space, a desk, and queen size bed (all our beds are of excellent quality). 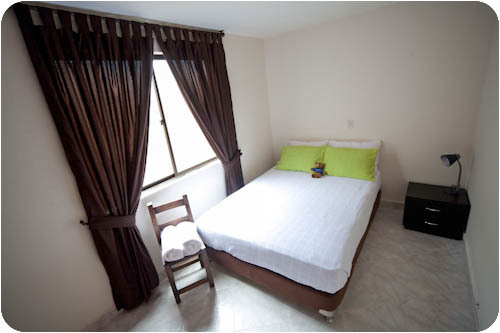 Comes with new and firm double sized bed, linen and towels. Has a large wardrobe for all your clothes and items. Desk and chair included. It has access to 2 shared bathrooms (one is a toilet, and the other is a toilet and shower). Nestled in the back of the home. Room 3 is one of the best rooms due to it’s nice size, queen size bed, quiet atmosphere, 1 small desk, and TV. Shared bathroom with 2 other rooms. Linen and towels included. Also positioned in the back of the home is Room 4. A comfy and very quiet part of the house. It has a firm and new double sized bed and a wardrobe. Shared bathroom with 2 other rooms. Linen and towels included. Located on the terrace, this room is very private in that you have the entire level to yourself, albeit when no one is using the terrace! It has 2 large single beds which can be joined to make a king size bed, so it’s good for couples or traveling friends who want to split the cost. It has it’s own private bathroom, 24/7 hot water, and desk/chair. The balcony offers a great place for starting your day with a cup of coffee or relaxing the afternoon away hanging in the hammock. 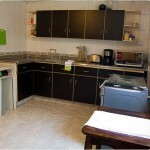 The kitchen is fully equipped with everything you need for a home cooked meal. Plus it’s organized so that everyone has their own space. The terrace provides a great place to have friends over for a BBQ. 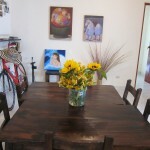 Thanks for stopping by the Arthousemedellin.com! If you have ever stayed with us and would like to tell people about your experience staying here. The Art House has become my “go to” residence while in Medellin. The Envigado area south of the city has a very cool village feel, complete with anything thing you need. 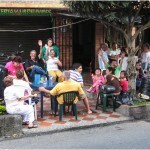 I much prefer it over the El Poblado area, Envigado is a very friendly Colombian neighborhood. The house itself, is always extremely clean and well cared for. I have made many friends, from all over, at the Art House. This is my third stay here at the house but may be my last, since I plan to move to Colombia in the near future. Highly recommended. Thanks Dale for the kind comments. Best of luck on your Colombian journey and thanks for staying with us. The house is safe, friendly, and my home away from home. A great place to learn from fellow travelers. All are private rooms. This is my third stay here the neighborhood is lively and filled with hard working and genuine people. Everything is within walking distance: gyms, restaurants, bars, a great bus system, grocery stores, everything you need. Great place to stay for a month or for a year. Thanks for your comments and we’re happy to have you here. Your welcome back anytime. Best of luck on your life here in Colombia, I hope you find everything you are looking for. 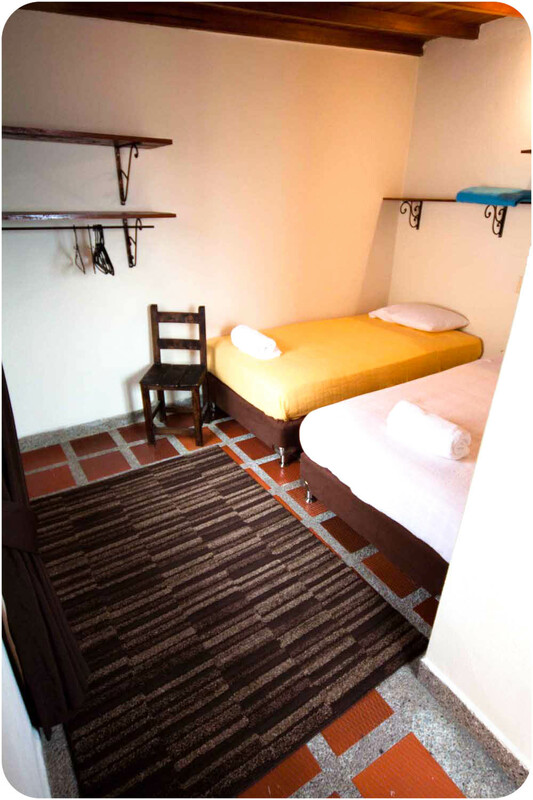 The arthouse in Medellin is very comfy located in Envigado in la magnolia, excellent facilities, comy rooms, good bathrooms, always clean. Really near to “la Zona rosa de Envigado of Food and Party”, near to the principal park of Envigado many supermarkets and off licences around the house, nice two terraces, friendly locals in the neighborhood, I spent about six months due to a job I’ve got in Medellin and it was really heplful in al senses. I highly remomend it. The Arthouse Medellin is a very nice, comfortable shared apartment in a great area to live, located in a nice neighborhood in Envigado, just outside Medellin. I stayed there for 2 months and loved that the neighborhood did not have hostels, hotels, or guesthouses, just locals going about their daily life. It was a great way to experience local life from the small tiendas for fruits and vegetables, butcher shops, and supermarkets, to the plazas, small restaurants and nightlife. 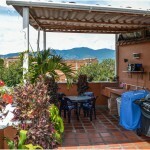 The bus to downtown, El Poblado, or the metro station is just 2 blocks away. 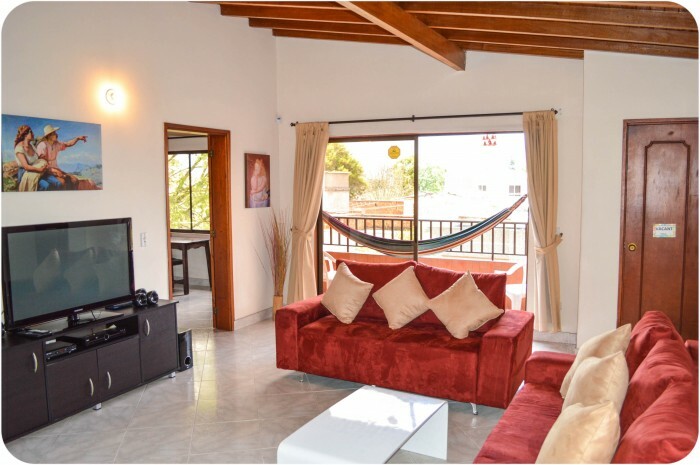 The apartment is kept clean, has 2 hammocks for recovering from a night out or just an afternoon nap, rooftop terrace with a grill (but I doubt your burgers and ribs will be as good as ours were 🙂 ) and a nice common area with a large flat screen. There is also a large information board in the dining area with loads of information about the area. I highly recommend the Arthouse rather than staying in some of the touristy areas, and I think you’ll appreciate how friendly the locals are around the neighborhood! I stayed at the Art House for almost 6 months and really enjoyed my time there. Its peaceful, clean (maid 2x/week) and close to public transport. 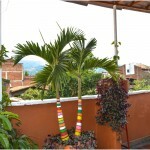 I recommend it for short-term stays in Medellín if you are looking for something in between a hostel and apartment. Room Tip: Room 3 is the quietest! We extended our stay here twice we loved it so much. The house is great with a really nice rooftop terrace. The location was perfect, lots of restaurants and a short taxi ride to Poblado. It was great meeting Todd and Veronica, and also the other guests that stayed in the house. Todd was full of useful information about Medellin and the surroundings and always keen to invite us out. We would definitely go back and also recommend. We came for a week and stayed for three months, it’s that type of place. 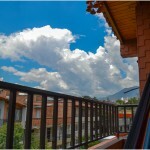 Great apartment with four bedrooms and a small casita up on the terrace, huge kitchen and living areas, more bathrooms than you’ll ever need and a terrace overlooking the wonderful crazy world of Envigado. Don’t stay in Poblado, it’s too glitzy and sterile, experience real life in Envigado with some of the friendliest people you’ll meet. Great for gyms, restaurants (don’t miss Lucio, carrera 43a) and to get everywhere. 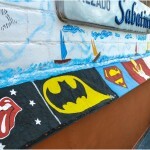 We stayed nearly one week in Art House Medellin and would have stayed more if possible. It was like feeling at home. It’s not really an hotel but rather a shared appartment with a kitchen fully equipped, a terace on the top with a BBQ, big living room, free use of washing machine and a very spacious room. It was really nice staying there ad we really enjoyed this experience. If you are looking for a place to relax and settle a bit, you have to go there. The neighborhood envigado is a really nice area. Travelling around Colombia we had stayed in a number of hostels, none of which quite lived up to our expectations (or the glossy photos on the websites) so on our second stay in Medellin we were fortunate enough to get a room at The Art House. Situated in the bustling district of Envigado, The Art House was a breathe of fresh air, with clean spacious rooms, modern and fully equiped communal spaces complete with a fantastic kitchen and rooftop bbq terrace with panoramic views over Medellin, and a fresh take on travelling accommodation, truly creating a home from home. Envigado is a fantastic area that always felt safe, and has a real community feel, allowing you to embed yourself in Medellin life. The live in landlord Todd was fantastic and made sure that we were settled as well as being a wealth of local knowledge, directing us to fantastic local shops and butchers, advising us on great places to eat, or go dancing and showing us amazing hikes with phenomenal views into the nearby hills surrounding Medellin. 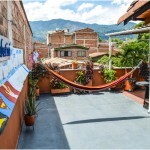 Unfortunately, we only got to stay at The Art House for a week, but we will be heading back to Medellin in the not too distant future and when we do The Art House will be the first place we’ll call. Highly recommended. I stayed a month+ here and have to say it’s a super nice, newly remolded home. 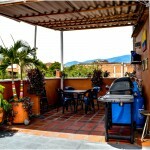 The patio on top with the large BBQ grill makes for a nice place to relax and soak up the local cultural. I stayed in the room with a large private bathroom, that included a TV. For what i paid vs a hostel room, i can honestly I saved money and got an even better place for a cheaper rate. The local neighborhood is safe and chilled and everything I needed is within a 5min walk from the house (gym, grocery store, butcher shop, bars, restaurants exc). With only 5 bedrooms total it’s not a crowded place and felt more like a home then just a bed rented. Everyone gets a shelf in the fridge and a private cabinet to store food in, as it was great getting to cook again while traveling and not have to buy everything everyday to do it. The owners, Todd and Gerard, are really cool and helpful about info and sites in Medellin and made me feel very welcomed there. I think I will definitely visit here when I go to Colombia. Thanks for providing such a fantastic blog on this place. Thanks for your kind feedback. 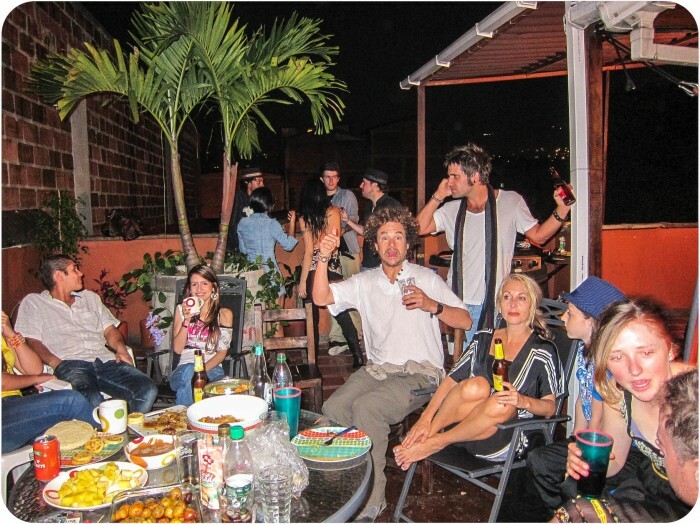 Yes we have a couple of great places to chill at when you’re in Medellin, Colombia. 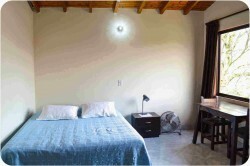 Both Park Place and Art House and very comfortable and provided private rooms. 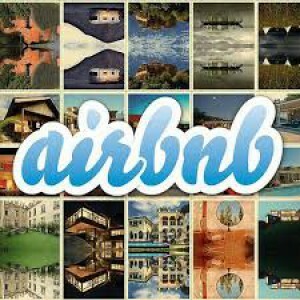 They are located in safe, authentic neighborhoods and are perfect for travelers who want comfort, but yet a real experience of Colombia. Much nicer and much more economical than the touristy Poblado area. Thanks again and just send us an email when you’re ready for a visit. Hi Emily, great to hear from you and thanks for your kind words. We’re so happy you had a wonderful experience here in Medellin. I’m also glad we got to go see the coffee region and check out the waterfalls of Santa Rosa. You’re welcome back any time, and we wish you the best in life. We stayed 2 nights at Park Place and everything was great!! 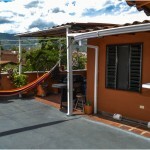 Good communication with the owners, house was really nice, fantastic room, clean, great location and everything you might need for an enjoyable stay in Medellin. Would definitely recommend. Thanks! Stayed three months and enjoyed it very much. I used the BBQ grill often to cook burgers and steaks while also purchasing fruits and vegetables from local corner stores. The owner was very helpful in providing ideas for things to do especially in continuing to learn Spanish and to learn Salsa dancing. I would ride my bike on Sundays when Medellin would close the main roads to allow bicyclist to ride the length of Medellin. I recommend the Arthouse to anyone who would like to visit Medellin. Stayed March 2014.